Recognizing the role of the regional cooperation in the field of industrial property, the governments of the Visegrad Group member-countries, i.e. Slovak Republic, Czech Republic, Hungary and Poland has signed an agreement on February 26, 2015 to establish the joint patent institute. On October 6, 2015, WIPO has appointed the Visegrad Patent Institute as an International Searching Authority (ISA) and International Preliminary Examinination Authority (IPEA) under the PCT. 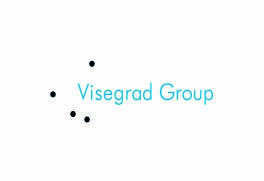 The main task of the Visegrad Patent Institute (VPI) is to act as ISA and IPEA within the scope of PCT procedure which is aimed to facilitate international patent protection for applicants from Visegrad countries. In addition to communication in native language, the reduced fee structure for international patent protection applies, which is certainly beneficial for applicants. The agreement on the creation of the Visegrad Patent Institute has been ratified by all member-countries and should enter into force in December 2015. Thus, VPI will start providing its services to the public after July, 2016. The VPI will have its headquarters in Budapest, Hungary and branch offices in all other member-countries. The Agreement on the Visegrad Patent Institute is an important step favorable to foster innovations and promotion of the economic growth in the Visegrad countries. IP-Coster network will keep you updated on any developments regarding the matter in the news alert.